One of the accessories that can make you stand out are sunglasses. In fact, it can be a vital fashion accessory! It can help you in expressing your individuality while letting you live, play and work. A pair of sunglass can alter the appearance of any outfit aside from giving you benefits for your health such as protection against the harmful ultraviolet sun rays and reducing the glare from outdoor or indoor activities. Sunglasses were first made as protection for the eyes as well as the delicate skin around your eyes. You have to consider wearing a pair for your various outdoor activities in the same way that you apply sunblock to your skin. Aside from sporting sunglasses for protection, it will also help in preventing eye damage caused by prolonged exposure to harmful elements and polluted surroundings. With the right sunglasses, you can have clear vision and protection for your eyes during a very bright day. Make A Fashion Statement with Sunnies! The initial step in choosing for the right eyewear is by deciding on what you will use it for. Will you be wearing sunglasses for protection while you engage in a particular sport or several sports? Is this sports contact or non-contact? Will you be watching several or various events from the stands? Will you be engaging in activities around water? Will you be under direct sunlight for prolonged periods of time? These examples of questions can help in determining the frame of the sunglass together with lens as well as the lens features for an optimized experience. Although it is ideal to try the sunglasses first before you can determine if it is the right pair for you, the convenience of shopping online, and the widest selection offered online outweighs that. 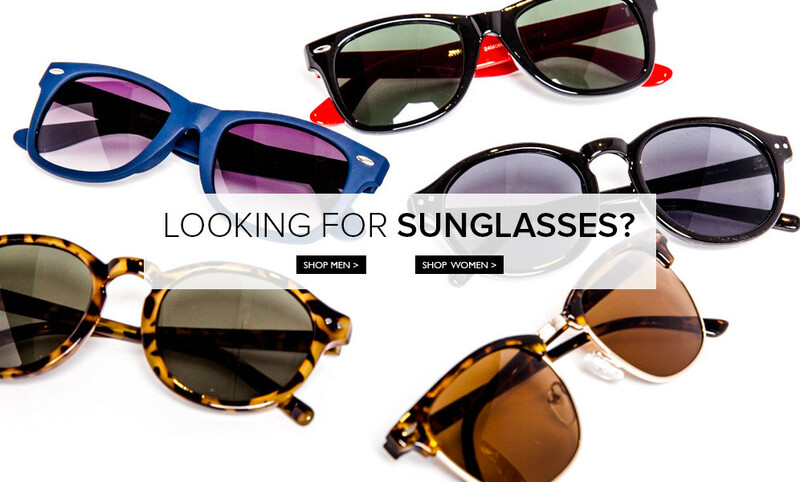 Surely, you will get the right fit when you buy your next pair of sunglass at ZALORA PH. Choose from funs, fashionable and affordable sunglasses.